IK Skin Protection DOUBLE+ is a mask and night cream in one with a creamy structure. The mask has a calming and soothing effect and supports the skin's ability to recover. This rich mask gives a real boost to the skin. 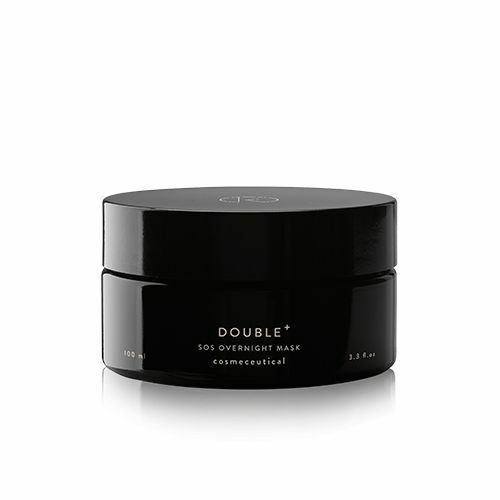 IK Skin Protection DOUBLE+ is a mask and night cream in one with a creamy structure. The mask has a calming and soothing effect and supports the skin's ability to recover. This rich mask is a real boost to the skin. IK Skin Protection DOUBLE+ is a mask and night cream in one product specially formulated to intensely moisturise dry and/or prickly skin and strengthen the skin's natural defences. The composition of the product provides an immediate boost to the skin and moisturizes, nourishes and protects it. It also supports the skin's natural ability to repair. IK Skin Protection DOUBLE+ is an ideal product to use after intensive skin treatment. It also optimally softens sensitive skin. The result is smooth and radiant skin. IK Skin Protection DOUBLE+ contains the Key Actives Iricalmin, Ectoin and (Phyto)squalane. Iricalmin soothes irritated, prickly red skin. Actoin has a healing effect and protects the skin against external influences. (Phyto)squalane is a plant ingredient that nourishes and evens out the skin. IK Skin Protection DOUBLE+ is suitable for all skin types, but is particularly recommended for dehydrated, sensitive and/or irritated skin. IK Skin Protection DOUBLE+ is suitable for use in phase 2. Apply the mask evenly to cleansed skin. Allow the mask to soak in for 10 minutes, then remove with lukewarm water. For use as night care, massage the mask in the evening and remove it in the morning with lukewarm water. Combine this mask with a serum or the 24H cream for the best result.